Mike and I got together tonight for some approaches and a dinner run to Chester County, KMQS. I packed my flight bag last night complete with the Foreflight update 5.1.1, updated charts and the Jeppesen update for the Garmin 530. I dashed out of work at 3pm and headed to the plane. 08Romeo really needs a wax job, she is looking dull. I hope to have they guy scheduled for next week to bring her shine back and have her really looking good for summer. I went through the pre-flight, sumped fuel and was ready for Mike to arrive. Mike came through the gate and did an abbreviated walk around then climbed aboard. 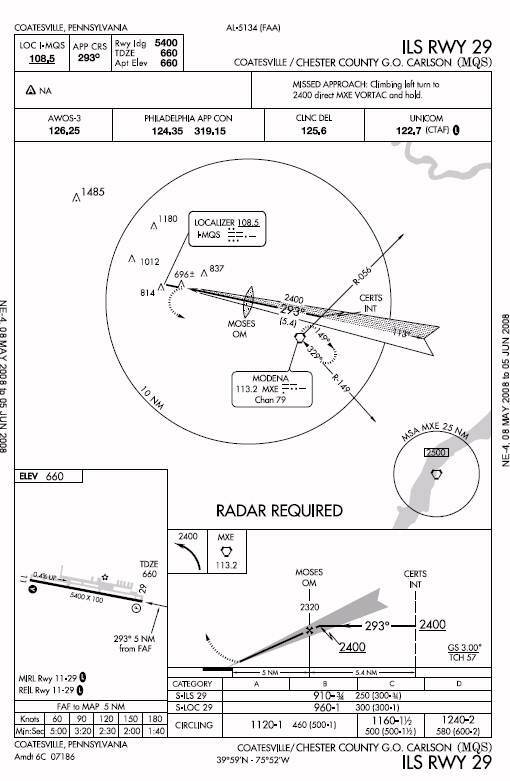 The plan for this evening was a few ILS approaches at Chester County followed by dinner at the Flying Machine Cafe'. My first ILS was ok. I was out of sorts on my flow, setting speed to 90 knots way early as I was about ready to get established. This approach ended in a low approach only, as planned. Round two was much sharper, I kept the needles in the bubble and did a nice job with managing the cockpit and checks. I really do need to verbalize more. I guess I cut that out of my procedures because Mary doesn't seem to like me calling everything out......maybe she thinks I forgot what I'm supposed to do??? Nah.....but the thought cracks me up. Round two ends with a full stop and taxi off to the ramp. 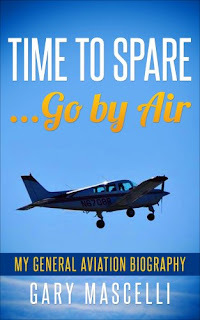 We enjoyed dinner at the Cafe' and as always did some post flight review. I'm rusty, it's obvious and I need to get back to flying more instruments. We launched for Summit, KEVY and Mike shoots the GPS 17 approach. A bit of a rough go on the first approach but Mike soon dialed in and flew 08Romeo as he always does, smooth and on the numbers. This approach ended on a low approach and followed with a transfer of control back to yours truly. I wanted to shoot the ILS 1 back into Wilmington, KILG. Mike role played ATC and vectored me in. I did a nice job, cockpit management much better with nice speed and needle control. I lifted the foggles at 300 feet and attempted the landing. I felt I was way to hot and after setting 08Romeo down without letting her quit flying I managed to briefly skip on the mains and nose it in. Ughhh....full power going around. I didn't feel like playing Flipper. 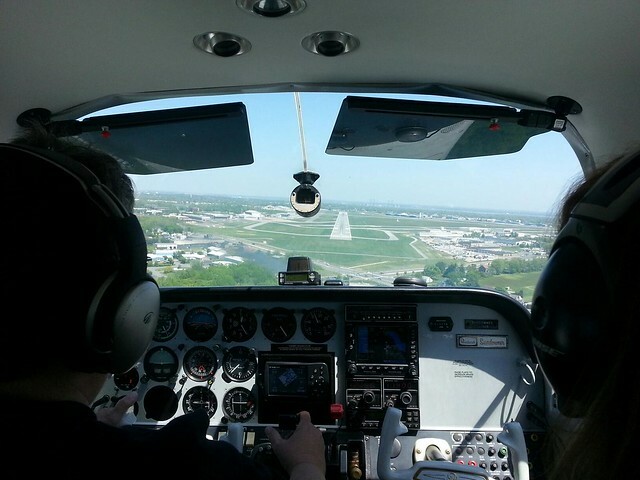 After advising the tower I was going missed I was redirected to enter a right base for runway three two. Not a problem as I gathered my thoughts and got back on the ground. The plan was to fly to the beach for the holiday week of vacation, Thursday night through Tuesday evening. The wx for departure didn't look so hot, rain and windy conditions that are not worth a pleasure flight to the beach. Besides, the big red flag for me is the CB – Cumulonimbus from 1900-2200. The Cumulonimbus always indicates a strong instability to the layering of air with appropriate convection or turbulence. Hey, I don't get paid to do this, it's for fun. After looking at the Friday forecast we made the decision to ground pound it to the beach. We were loaded up and on the road by 9:30 pm and we arrived at the motor home at 11:30. We made good time and that included a fuel and munchies stop! After a great nights sleep we decided on a early afternoon round of golf. We passed on splitting a small bucket of balls to warm up on the range, instead, opting to have right at it. It was not a pretty day on the links. I had trouble off the tee and an ok day with the irons and putting. We both should have warmed up on the range. The low for the round was me shanking a shot and almost killing a fellow golfer. My ball wizzed by him and his partner before I could even get my brain to signal my mouth to yell FORE!!!! The guy walked over and picked up my ball and as I walked toward him, iron in hand, he tossed it to me. I apologized and he very kindly said no problem, we all have those days. Thankfully I re-holstered the 6 iron I took for defensive purpose and drew out the 3 wood for a decent shot towards the green, yes, in the right direction. The remaining time at the beach was great. Good food, good neighbors and plenty of sand and surf. We are both looking forward to flying down and not having to ground pound next weekend. Mike and I swapped text messages and decided we would get some flight time this evening. Mary was down with a migraine and its best for her to sleep in a dark room in quiet surroundings. In short that means me not making noise or asking her a zillion times how she feels. I quickly changed into shorts and grabbed my flight bag. I made a cal to Atlantic Aviation for fuel on my way to the airport so the fuel would have some time to settle before my sump. It felt good getting 08Romeo uncovered and ready to fly. I completed my preflight and other than taking out two small bee nests everything was good to go. Yes, I carry wasp spray in my carry on of tools and cleaning products, I hate bees. Mike came in soon after I checked fuel and finished the sump on the three locations. Mike did an abbreviated walk around making checks on fuel, oil, control surfaces and gear. We saddled up and decided on a short hop to Summit Airfield (KMVY) where Mike would knock out a few approaches and I would enjoy the view....no....watch for traffic. First up was the GPS 17 followed by the GPS 35 and a circle to land. Mike said he needed to knock off the rust, yeah right, and he did a few touch and go's to get the sight picture back. If Mike was rusty then I need a bead blast and powder coat to be as proficient as he is. Mike is always spot on 08Romeo's numbers, precision approach descent, bang right on it, set it and forget it. Non-precision same thing, set it and forget it. I learn more about flying from watching him than I do spending time practicing. 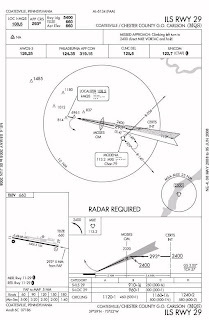 While practicing the hold for the GPS 35 Mike tossed in slow flight for the lap. I am never comfortable getting slow and low, to the point of obsession I think, especially when I am turning final. As always, Mike makes it look effortless, smooth and cool. 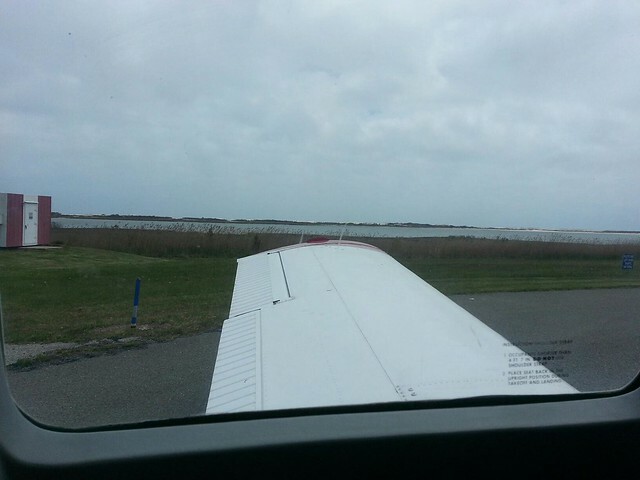 We finished up back at Wilmington with a super smooth landing on runway two seven and a taxi to my tie down. After we cleaned off the windscreen and leading edges due to a notable bug mass suicide 08Romeo was covered and tucked in for the night. We capped off the night with a stop at Border Cafe' (EATS) for dinner. It's that time of year when Mary and I make the trek to Wilkes-Barre, PA to take care of my parents grave site. Knowing I am current but not as proficient as I would like to be we closely monitored wx Friday and Saturday. Rise and shine this morning and the wx looks good but very windy at Wilmington. The wx at Wilkes-Barre was scattered with the Skew T showing freezing temps around 5000. 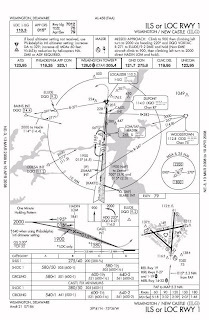 Again very windy conditions for our planned arrival and departure. I didn't have enough of my own personal comfort factor for the cloud layer and dropping out underneath if needed having to contend with the mountain terrain, well mountains for out east anyway. So, this morning I made the call to ground pound it north. I made great time since we left the house at 6:40am and in two hours we were pulling into the store for flowers and mulch. I did note some temps driving down the mountain and temps ranged from 51 on top (1200-1600 ft) to 54 crossing the valley. It was good to take care of my parents and honor a tradition for the upcoming Memorial Day holiday. Flowers planted, mulch neatly spread and headstone cleaned, our labor of love completed. We made a stop for some fruit smoothies and hustled the ML320 south for two hours and a safe return home. It cleared up nice here in Wilmington but after watching the gusting winds whip the tress around I decided to watch the final round of the PGA tour event instead of flying. Mary and I packed up and headed to the airport Friday afternoon. Yes, I took a half day and decided to head south. Mary's Friend Jo Ann joined us for the weekend and pulled up to Red Eagle ready to fly at 1pm. I had taken on some fuel to make my total thirty gallons for the flight. 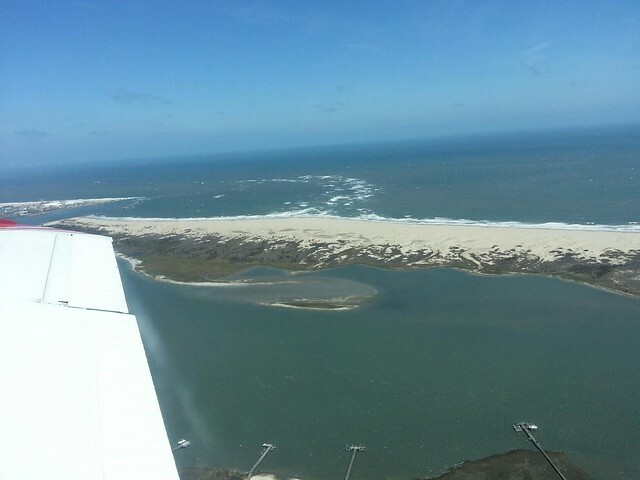 This was a VFR flight direct KOXB, Ocean City. The wx was looking great but the winds were blowing. I found the sweet spot right at three thousand and rode along smooth and steady. I was watching the clouds roll in from the coast and knew I would have to duck under or get a pop up into OXB. The bottom of the layer was around twenty five hundred feet so I descended to eighteen hundred for the last ten miles making my position calls. I felt bad, the smooth ride was over and I was know getting pushed with tail slides left or right, not fun for me, or my passengers. I had the wx at OXB and the winds were zero six zero - zero seven zero around 15 gusting twenty something. Runway 2-20 is still closed so it will be runway one four for my best shot. Running through my mind is the fact I flew once in the last month and had logged two, yes two landings. I wasn't ready for the crosswind but knowing I was going to take a shot or run for Salisbury KSBY. First attempt, not stable, wings rocking and throttle work was keeping me busy. Only a second notch of flaps for this try as I cross the fence with airspeed from 80 down to 60 knots feeling like the bottom falls out then floating. I'm in the flair or what I managed to make resemble the flair when I felt like I didn't have enough throttle to arrest the sink. I was nearing my go around point and went full power hanging in ground effect then getting positive climb before retracting flaps, a notch at a time. Meanwhile I was listening to the stall horn sing to me like a police siren from Great Britain. 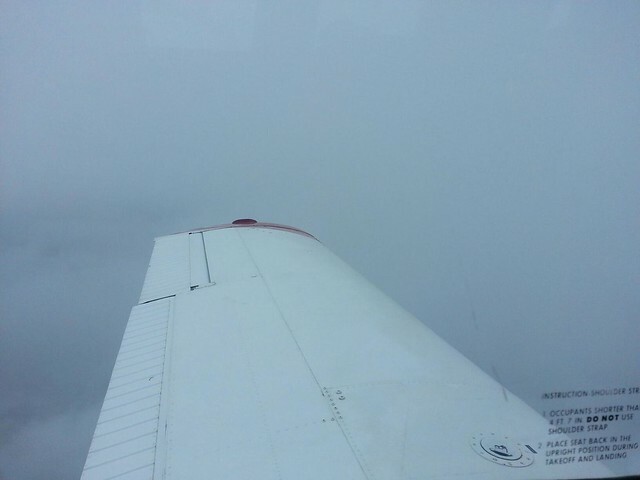 Somewhere in there I mumbled a c'mon baby climb out as I horsed 08Romeo around to the crosswind. I extended my crabbing downwind a bit and made my base to final turn. Nice and steady, one notch of flaps this attempt and seemingly better control of the gusting conditions. I'm over the fence, left main planted for a short squirrely ride then the right main and nose gear. We're down, now making more aileron corrections to keep me down the middle of the runway. It felt good to taxi off and shut down. Joe the lineman came out to meet me and help tie down. He said nice second landing, looked like a wild first ride. I acknowledged it was and followed up with no fuel but I'll take that change of shorts, he couldn't stop laughing. He then told me the jet on the ramp made multiple attempts too so don't feel bad. Yeah, I nodded, and they get paid to do this stuff. Ready for the C&C in the motor home! We loaded up the airport car we keep covered in the lot and headed for the motor home. Jo Ann said I bet you need a beer. Beer hell, I'll take that captain and coke when we get there. We had a great time in OCMD. Tried a few new places to eat, cooked clams here at the motor home and cruised around having fun. 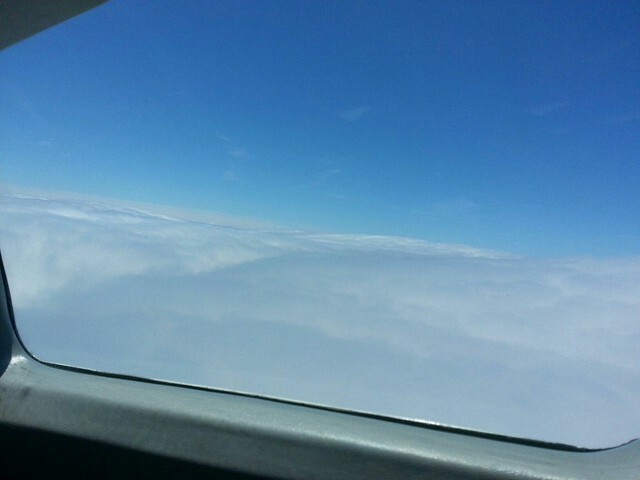 I had watched the wx overnight and decided I wanted to be in the air close to 12:30. I had figured on that being the best time for a chance to bug out VFR even though I filed, just in case. We were packed up and to the airport just about on time. I took on sixteen gallons to make my fuel total forty. Joe fueld 08Romeo and told me a Cessna 182 came in after me on Friday and made multiple attempts to land finally coming in and pranging the prop, not good. With fuel complete and tested and a last look at wx I knew I had to contact Washington Clearance Delivery. We launch off of runway three two with the sock dancing back and forth. When it did swing it looked like it slightly favored three two over one four so off I went. Washington Clearance returned my call and cleared me as filed; KOXB ATR DQO KILG. On departure fly runway heading, three thousand expect five thousand in in ten. Frequency for patuxent 127.95 and my squawk code 5612. I switched back to unicom and made my departure call then rolled down the runway. I was off and crabbing/climbing to three and eventually made contact with pax. We sat in IMC for a short time and then I was cleared to five thousand direct waterloo (ATR). 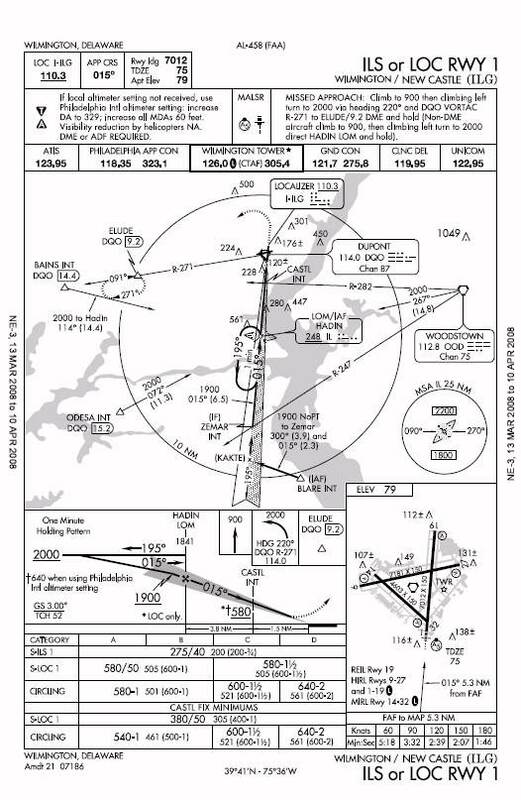 On my way to ATR I was handed off to Dover Approach and a direct to KILG followed. Wow! that was too easy, maybe all that clean living, ah no. We finally broke through on top and our friend Jo Ann thought that was the coolest! She has been in the plane with us multiple times but this was her first IMC experience. 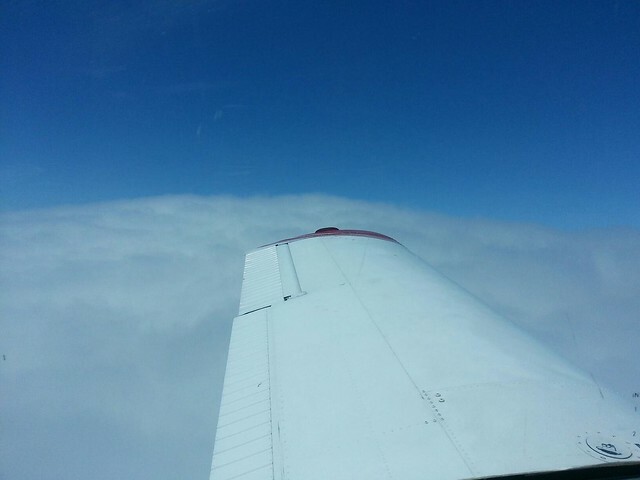 We were on top to just north of Dover, Delaware when the layer vanished. Dover stepped us down to four thousand and handed me over to Philly. I reported in with level four thousand and hotel at KILG. Philly vectored me for the visual runway nine since he was trying to get a Piaggio in ahead of me and in between two other planes. A super smooth landing and another fun trip is completed. A great first beach run for the season, testing my metal into OXB and getting some IMC on the way home.